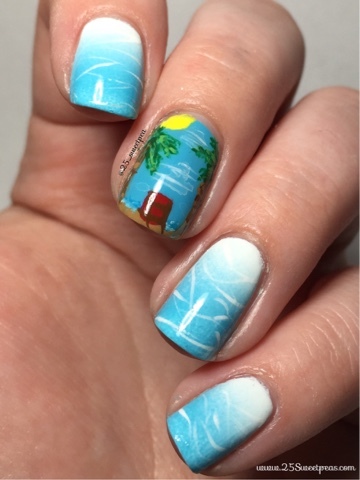 I love the beach that's no secret and I love doing water/ocean nails so I thought it was about time I do them this year! Plus the weather is getting to about the right temperature where you can go to the beach and not be freezing(I hope). So for the majority of the nails I started with a white base of OPI Alpine Snow. On top of it I used it and China Glaze UV Mean't to Be. Makes for a perfect water look. Then on top of it I just painted on some light wavy lines of white paint to give the water a ripple effect. :) I feel like that part and the top coat make it complete! So if it doesn't look like water right away don't worry just wait until top coat! 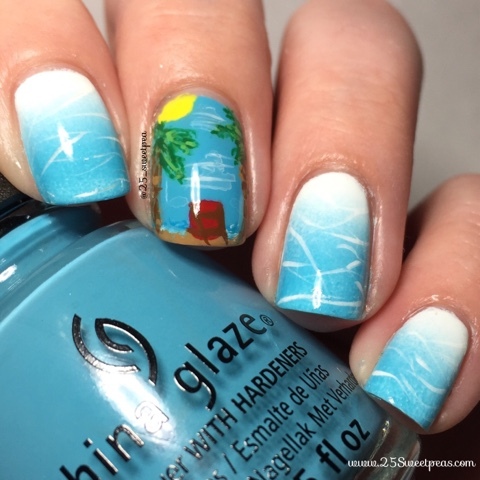 The detailed art nail has a base of China Glaze UV Mean't to Be. The art was done with acrylic paint and Berry Wine brushes from Winstonia. It was pretty easy to do and fun in my opinion. So what do you all think of these? 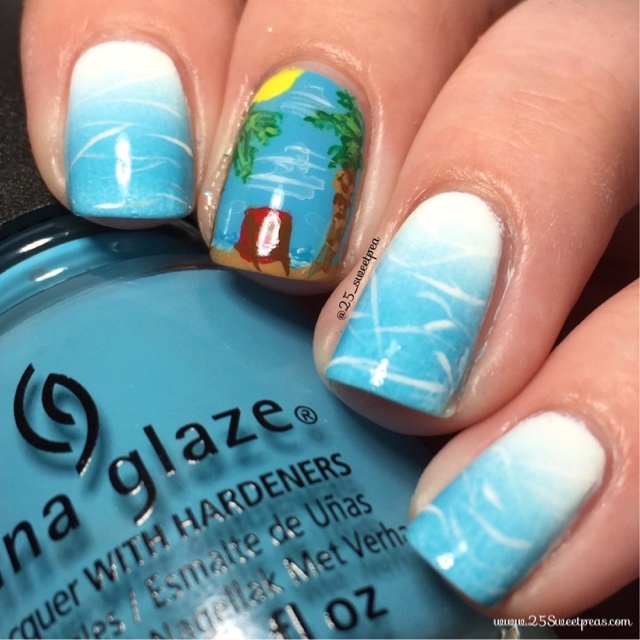 I love the water nails. I actually have the water look on both hands. It was something I tried about 2 years ago and ever since I've just loved them. So I last minutely decided I would make you all a tutorial for the water nails because they are super easy and so pretty to wear! Plus you will all love the satisfaction feeling after you complete them. Seriously after that top coat goes on its just like YES! :) Hope you all enjoy the tutorial. Well I hope you all love these as much as I do! I honestly don't even want to take the water nails off! 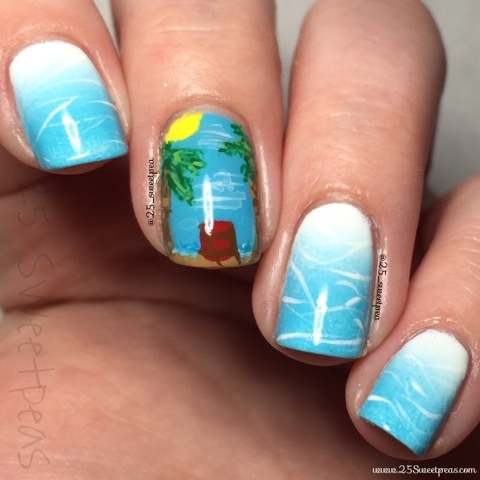 They are just so fun and they make me want to go to the beach. Let me know what you all think!